Natural range North America, Central America, South America. Habitat Fallow rice field, lake or pond, rice field, swamp. Range in Japan Miyagi, Ibaraki, Gumma, Saitama, Tokyo, Aichi, Gifu, Ahiga, Kyoto, Osaka, Wakayama, Hyogo, Okayama, Hiroshima, Kagawa, Ehime, Tokushima, Fukuoka, and Saga Prefs. Accidental: Spread within Japan by hitchhiking on water bird body. Impact Competition, hybridization, nutrient enrichment. 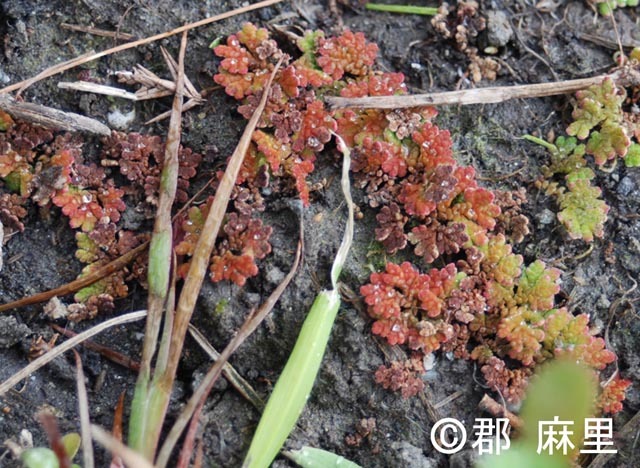 The three species Azolla microphylla, A. mexicana，A. caroliniana are regarded as synonyms of A. cristata.